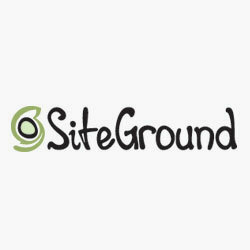 SiteGround is a leading WordPress hosting service provider and are very popular in the WordPress community. They have one of the best 24/7 support in the industry and offer automatic upgrades, built-in WP caching, CDN, one-click staging and GIT version control. They are one of the few companies offering location specific hosting with 3 data centers in USA, Europe, and Singapore. Having data centers in 3 continents, SiteGround provides superior site experience to your visitors regardless of where they are located in geographically. SiteGround is one of the few top hosting brands that’s not been acquired by Endurance International Group, a leading web hosting company. It stacks up against the competition by providing latest speed technologies and proactive security practices for all their hosting plans. They offer enhanced performance with NGINX, HTTP/2, PHP7 and free CDN. They also offer optimized solutions for different open source applications including WordPress and Magneto. If you need a great hosting service, which is stable, secure and super fast, SiteGround is the best choice. Regular price $9.95 / mo. but our users pay $3.95 / mo! Get started with SiteGround today! SiteGround offers cheap hosting, also known as shared hosting, which is the best option for users who are just starting out and need an affordable hosting solution. With cheap hosting, many websites will share resources of the same server, which makes the cost low. Although it’s the cheapest hosting option available, there’s nothing to be concerned since your files and data will be secure in the server. SiteGround offers 3 different shared hosting plans: Startup, GrowBig and GoGeek. The Startup plan allows you to host only one website. All other plans let you host multiple websites. With every cheap host plan, you get dozens of one-click installers for WordPress, Joomla, Drupal, etc. to quickly start a website. The GoGeek plan offers geeky advanced features like PCI compliant server, WordPress and Joomla staging and one-click git repo creation. SiteGround doesn’t have VPS hosting plans, but they do offer cloud hosting, which is an in-between solution for sites that outgrows shared hosting but can’t afford having a dedicated server hosting. SiteGround offers premium managed dedicated hosting for resource heavy websites or the ones that attract extremely high traffic. With a managed dedicated server hosting plan, you lease an entire server for your sole use so you can choose the equipment such as RAM, hard drive and processor. Indeed, it costs more than other hosting types because an entire server is allocated for your sole use. SiteGround offers 3 different managed dedicated hosting plans for you: Entry server, Power server and Super power server. Entry Server uses Intel Xeon E3-1230 SSD, 16 GB RAM and 480 GB SSD storage. Power Server uses Intel Xeon E3-1270 SSD, 32 GB RAM and 960 GB SSD storage. Super Power Server uses 2 x Intel Xeon E5-2630 SSD, 64 GB RAM and 2 x 960GB SSD storage. You’ll be allowed to choose a data center location when subscribing to a dedicated hosting plan. All hosting plans are fully managed, which means SiteGround will keep its software up-to-date, monitor your machine 24/7 and react immediately in case of an issue. Pricing starts at $269 / mo. 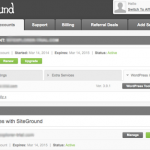 SiteGround offers WordPress hosting solutions for users who want to host their site on a managed hosting environment. There are no significant differences between shared and managed WordPress hosting plans, except your site will be operated under a WordPress optimized ecosystem. 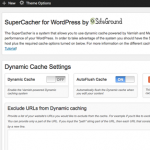 SiteGround is officially recommended WordPress hosting provider by WordPress.org. With WordPress hosting, you’ll get additional layer of protection from WordPress specific vulnerabilities. Your core WordPress and installed plugins will be automatically updated to prevent threats from any known vulnerabilities. If you want to set up an online store with WooCommerce but not sure about the hosting requirements you’ll need, you just have to choose a SiteGround WooCommerce hosting plan. With SiteGround’s WooCommerce hosting, you can quickly build an online store without having to install WordPress and WooCommerce on your account. Just subscribe to a WooCommerce hosting plan and launch your ecommerce store by logging into your WordPress dashboard. You get all the essential tools including free SSL, Storefront theme preinstalled and hassle-free WordPress management. You can start a WooCommerce hosting plan as low as $3.95 / mo. SiteGround’s reseller hosting is geared towards web designers and developers who want to maintain their clients’ website on a long term basis. With a reseller hosting plan, you get all the set of powerful tools you need to succeed in your reseller hosting business. You can start as low as $42 per credit for a year and get benefit from special domain name prices. To join the program, you just need to order 5 reseller credits. One credit is equivalent to 1 year hosting. When you purchase more credits in bulk, you’ll get high discounts. Because reseller credits never expire, you can use them anytime to launch or renew account. With SiteGround’s reseller hosting, you get white labeled cPanel and private DNS upgrade. SiteGround comes with a unique set of features that you can’t expect from any other hosting providers. Free auto daily backups: All plans come with auto daily backups and they don’t charge for it. SSD storage: Instead of HDD, SiteGround uses SSD storage, which has to proven to improve your site’s performance. Free Cloudflare CDN: Speed up your website with free Cloudflare CDN. Unmetered bandwidth: The bandwidth is unmetered meaning you’re not charged based on the bandwidth. Choose your data center: Even with a shared hosting plan, you’re allowed to choose your preferred data center. This way you can ensure your site is hosted on the nearest servers where your audience is located in. Amazing customer support: SiteGround is well-known for their superior customer support. Best of all, you don’t have to wait more than a few seconds for the next available operator because they overstaff all shifts, so there’s always someone to pick up. SiteGround guarantees you 99.9% uptime and they live up to their uptime promise to make your website available around the clock. They also guarantee that if you ever experience more than 0.1% downtime on a yearly basis, you will be compensated. To test the performance of the server for our SiteGround review, we’ve created a test site powered by WordPress, using the default Twenty Seventeen theme and dummy content for theme development, including images. According to Pingdom’s website speed test, our test site loads less than a second for a server in Dallas, Texas. That’s faster than 95% of all tested sites. Apart from Pingdom, we also used a testing tool called Load Impact to figure out how SiteGround handles visitors during a traffic surge. Load Impact sent some virtual users (VUs) to our site and gradually built up to 100 visitors at a time to test how the server handles it. In the chart, you can find a blue line (VUs active) which shows the number of virtual users sent to our SiteGround site and a green line (VU load time) which represents how much time it would take to load a web page for a user. SiteGround performed almost consistently except for a spike when there were 50 users on the site. It quickly recovered and page load time remained steadily low even with more users. It’s worth noting that the site never went down during our speed test. 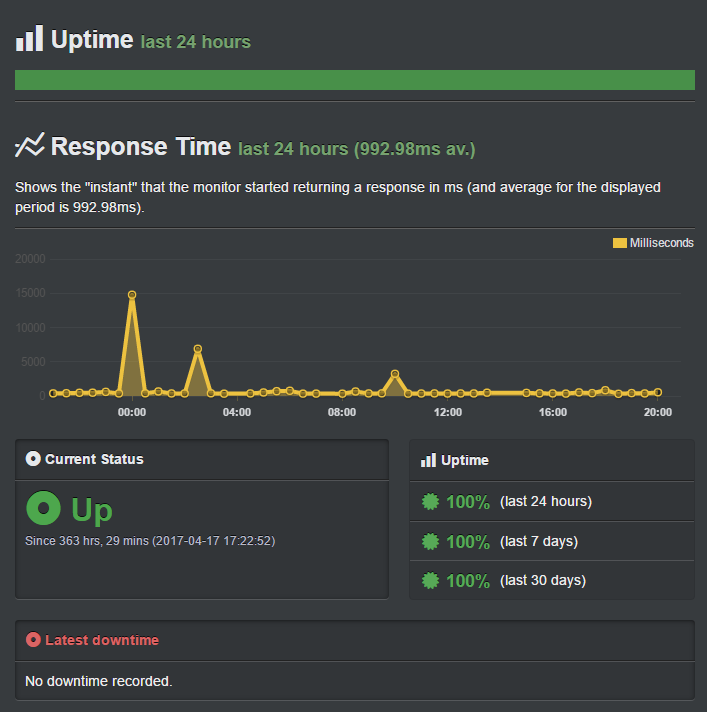 Take a look at the record of our uptime and response time of our site. The content on your website has a huge impact on page load time. For instance, if your site contains too many images, it will take more time to load. In fact, images account for most of the downloadable bytes in a typical site. To get accurate results, instead of analyzing page load time alone, we decided to test the actual server response time as well by ignoring the content of our page entirely. To track the server response time, we used a tool known as Bitcatcha. Bitcatcha works differently from Pingdom. Bitcatcha ignores the content of your page and records the page loading time from eight different global locations: New York, LA, London, Brazil, India, Singapore, Japan and Australia. The speed for each location is measured three separate times, and then the results are averaged. From the result, it’s evident that SiteGround is the perfect choice if your target audience is mostly located in the United States. In the United States, the server responded in just fraction of a second. In all other locations, except Japan, the server responded within less than a second. If your target audience is mostly located in Japan, it’s in your best interest to move your site to their Asia-Pacific data center for the best results. While most hosting providers simply advertise excellent customer support, SiteGround is the one who actually delivers it. SiteGround’s support team is well-known for their quick response time and resolving customer issues quickly. SiteGround offers 24/7 support via 3 modes: tickets, live chat and phone. With SiteGround, you don’t have to wait more than a few seconds for the next available operator. They also have extensive documentation that walks you through every aspect of web hosting with SiteGround. You can also find a webinar series where they share hands on-knowledge on the industry trends. 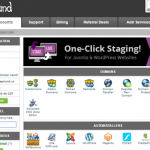 SiteGround allows you to manage your website and hosting account with cPanel. They also offer dozens of one-click installer for popular website scripts such as WordPress, Joomla and Drupal. You’ll also get a basic drag and drop builder with every plan to create a website the way you want. SiteGround offers one of the most competitive prices in the industry for their level of service and performance. To make it even better, they’re offering our users an exclusive discount if you use our SiteGround coupon code. Here are some of the hosting plans offered by SiteGround. Shared Hosting Startup 10 GB Unmetered $3.95 /mo. WordPress Hosting Startup 10 GB Unmetered $3.95 /mo. Cloud Hosting Entry 40 GB 5 TB $80.00 / mo. Dedicated Hosting Entry Server 480 GB 10 TB $269.00 / mo. WooCommerce Hosting Startup 10 GB Unmetered $3.95 /mo. Having helped thousands of users choose a web hosting plan and start their website, we have answered just about every question you can think of. Here are some of the most frequently asked questions about SiteGround. Why should I choose SiteGround to host my site? Your files will be stored in SSD (Solid State Drive) storage as opposed to HDD (Hard Disk Drive), which doesn’t compromise on page speed and overall performance. You’re allowed to choose from 5 different data-centers of SiteGround for the best performance. Unlike most other hosting companies, SiteGround never hard sell hosting addons when you purchase a hosting account. Which SiteGround plan should I get? It depends on your hosting needs. If you’re just starting out, we recommend you to choose one of the SiteGround’s shared hosting plans. 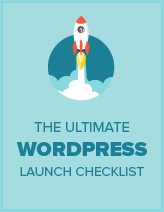 If you want to quickly launch a WordPress site without having to install WordPress manually, you may choose a WordPress hosting plan. If you’re after an online store powered by WooCommerce, you may choose one of their WooCommerce hosting plans designed to handle eCommerce websites. Where are SiteGround servers located? Can SiteGround handle high traffic? SiteGround is capable to handle high traffic around the clock. They offer different hosting packages to their customers and it all depends on which plan you’re on. If your site is found to consume too much resources, they’ll request you to upgrade to a higher plan. Can I upgrade my SiteGround plan later? Of course! When you’re starting out, you can choose the most basic plan. As you grow, you can always upgrade to a higher plan per your needs. Does SiteGround offer a month-to-month payment option? SiteGround does not offer month-to-month payment options for their shared plans. For higher plans like dedicated servers, they do offer monthly payment options. However, it’s important to note that they offer significant discounts for longer-term deals. Can I create subdomains in SiteGround? Yes, you can easily create subdomains in SiteGround using the cPanel. Do I have to register my domain name with SiteGround? No, you do not have to register your domain with SiteGround. You can use Godaddy, NameCheap, or any of your preferred domain name registrar. Does SiteGround offer free SSL? Yes, SiteGround offers free SSL with all of their plans. Ecommerce plans come with dedicated IPs and private SSL. Do I need to purchase the addons that SiteGround is offering me? How good is SiteGround support? SiteGround offers 24/7 support via 3 modes: Live chat, phone and ticket. SiteGround is well-known for their speedy response. Unlike other hosting providers, they don’t make you wait more than a few seconds for the next available support agent. Their extensive documentation helps you walk you through every aspect of web hosting. Can I create an ecommerce site on SiteGround? Absolutely! SiteGround’s WooCommerce hosting plan comes pre-configured with all the things you need to start an online store. Wondering how SiteGround stacks up against other web hosting companies? See our side-by-side comparison to see for yourself. SiteGround is the best choice for users who need an excellent customer support without compromising on server performance and page speed. SiteGround offers SSD storage for all hosting plans as opposed to HDD like other companies, which has proven to boost the server’s performance. On top of that, they spend a lot of resources on training, hiring, and managing a great support team. Unlike other web hosting service providers, SiteGround’s support team does not shy away from application-specific questions. If you want a web hosting provider that keeps the perfect balance of latest technology and excellent customer support, SiteGround is the best bet for you. Best service ever as per website hosting, in my honest opinion. We had Network Solutions for many years, always issues, lackluster service, you name it, so three years ago we switched to SiteGround — HOLY COW! I only wish I had switched sooner. Product is bulletproof, and the service is unparalleled. I don’t know how they do it, EVERY SINGLE REP is happy and helpful. 5* Service can’t complain about anything. I can’t recommend SiteGround enough. I was an early customer of Siteground and ran into some issues as they grew that led me away, nothing serious. I came back last year and I have nothing but high praise for the service. The servers are snappy and the provisioning is totally transparent. The managed WordPress service is wholly adequate to 95% of all sites running it. I highly, highly recommend them. Support was excellent tech support… Siteground Techs are the Best Techs I ever dealt with. Avoid this company at all costs. The price seems right and pre-sales, they will say all the right things. As soon as they have your $$$, customer service goes in the toilet. My site, which ran like a clock on another host for 4 years, is now busted and they are asking me… wait for it… for my credit card in order to charge me to fix it! I know this sounds very unlikely, but I can assure you it’s true. They say the tools I need to fix my site (which they apparently busted) are only available in a higher priced package! Huge mistake going with these guys. I’m out $USD 70, now I only hope I can get my site migrated without being held hostage for more $$. I would not describe myself as an expert in website creation and management. I have tried a number of companies over the last 15 years and I am very impressed with every aspect of my experiences with Siteground. The support has been provided within minutes of requesting help. Their staff are polite, patient and competent. I highly recommend them. I’ve been with Siteground since October 2016, about 18 months. I can’t believe the service. They really know what they’re doing, and they’re very generous with their support. I’m a junior nerd and stuff happens with my site that I really don’t understand. Like just now, apparently the latest plugin updates were incompatible with the PHP version on my site, creating weird errors at the top of my web pages and preventing me from logging in. I open a ticket and they fix it. When I ask, they tell me how I can fix it myself the next time. They’re a godsend, worth every penny. We checked your case and we would like to add some clarifications. Our review revealed that we have agreed to refund you the money for the Cloudflare service that was not a good fit for your needs. However, parallel to discussing that with our team you have also submitted a chargeback via your credit card company. As a result, the refund process couldn’t be completed. Since you are disputing the payment the money is blocked and we are not able to operate with it. Even though you have contacted us with an update that you requested a reversal of the chargeback from your bank, we have not received any confirmation from you documenting the reversal. Please note our payment provider doesn’t have proof of such activity from your bank either and still shows the status of the chargeback as active. For this reason, the case will be fully resolved by the financial entities and it is outside of our control. Great professional support. They provided quick solution to admin login problem. Thanks again. In a short Site ground is best at their support. They have provided some premium support freely. I’m grateful to siteground. I have two accounts with SiteGround and I am a very happy customer. The best costumer support I ever experienced. The staff is very knowledgeable, patient and fast. The best web hosting company for sure. All I can say: Another tech support chat – another unbelievably excellent experience. Pleasant, efficient, competent, persistent, patient – even with an amateur, explained things in detailed way, offered links to helpful Siteground guides on issues. I never had support like this – anywhere. No one can ask for better. SiteGround customer support is simply outstanding. Quick to be summoned, they solve your problem in no time, and they even offer a little personality. I’m overall satisfied. They should be the top leading hosting company for speed and customer service! Amazing helpful support. great service. most recommended hosting option. Actually, I’m a little upset. Yes, the price is good, and the support is good. No problem there. 1) When signing up I was told there was a pro-rated refund system in place. So that’s a lie. 2) Then when did the math on my 3 year term, I did not get the 60% discount as advertised, as I had already been a 1 year customer. So that’s false advertising – go look at the page yourself! 3) Then when I downgraded from ‘grow big’ to the individual plan, apparently the price difference over 2 years worth left of the 3 yr term, only added up to a whole 36 days worth extension, whereas my math makes it around $120!!!!!!! I wish I had never done business with these people, I hate not being told everything I need to know. Excellent, superfast and extremely friendly support. I couldn’t be much more satisfied. The technical support at Site Ground is beyond compare. They respond almost immediately and always go above and beyond my questions. I can design websites from WordPress templates but I’m no kind of coder. Site Ground tech support always understands and always answers my questions. I couldn’t do what I do without their help. I was in a chat with support and it was absolutely brilliant. I only just signed up to SiteGround tonight and it was all a blur trying to link my websites to new hosting and everything was confusing me. Long story short, I had no idea what I was doing. They cleared up any confusion I had by not judging my “stupid questions” (which they told me were not stupid and in fact very logical questions) and answered them in simple terms for me to understand! They were patient and dealt with my queries, fixed my problems, and I came out of that chat very satisfied. 5 stars. I recently switched 3 sites from GoDaddy to SiteGround. SG offers amazing support for the whole process through their ticketing system. I knew what was going on and what I needed to do at all times. I am am usually a bit impatient when waiting for things like site transfer, but SG got it done quickly and correctly. I am very impressed so far. Thanks, folks! Suppot answered all my questions promptly and clearly. The reviews don’t lie. I am using Siteground because of their excellent support and will continue to do so. Reg. Price $9.95 - Save 60% Off! All SiteGround plans include a money-back guarantee.